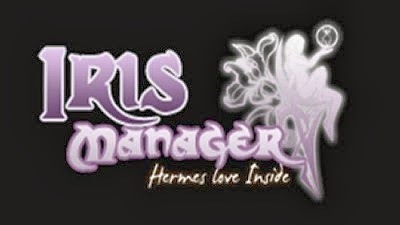 Today developer Estwald has released a new Official version of Iris Manager, backup manager for Playstation 3. Check out the changelog and the download link below. - Added supports for CFW 4.50 DEX and 4.53. - Added tools to create, extract and patch ISOs (Error 0x80010009) from PC (with source code and can be compiled at least from MinGW and Cygwin). - Added the ability to create, copy, delete ISOs (except in EXTx ) and extract ISOs from Iris Manager. - Added Error 0x80010009 fix for updates and ISOs (except EXTx) from the "Check Files" option. - New rawseciso (source code included in the. rar) with some bugs fixes and improvements against errors (even allows disconnect/reconnect the device), and includes support for HDD0, USB00X through a new mode (see launch_iso_game () in Iris Manager source code) and a mixed mode file/list of sectors for the Build ISO (see launch_iso_build () in Iris Manager source code). - In Archive Manager now supports Build ISO in all devices (FAT32/NTFS/EXTx) and detects extensions .mkv, .avi, .mp4, .ogm, .mpg as multimedia video files to launch "Showtime". - Now the current game is saved to return to that game during the game refresh and the last game launched to show when connect the device that contains it. - Added exception in the Archive Manager to detect if an ISO launched from a "BD ISO" folder is taken as Bluray Video. - Fixed several bugs like filenames too long in Archive Manager and added other small details and optimizations (such as now when a device with NTFS/EXTx partitions is detected, the USB icon appears blue during the waiting time before mounting .